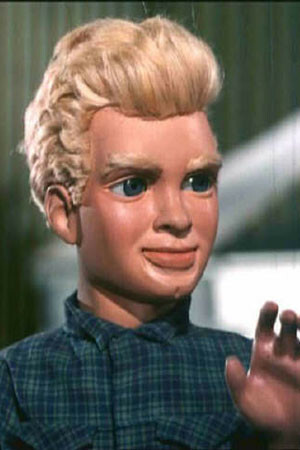 Matt is best known for voicing Alan Tracy in Thunderbirds. Besides voicing Alan in Thunderbirds, Zimmerman, like other actors on the series, also voiced various minor characters. He made a live-action appearance in one episode of UFO ("Exposed", 1970) and one episode of Space: 1999, both among Gerry Anderson's other TV productions. Photo ops with him and the puppet would be good.